As spring approaches, I can't help but reminisce on the wonderful vacation my husband and I took almost a year ago. We spent a week in San Francisco and Napa Valley. A few of my friends have been asking me about San Francisco recommendations so I think it is only appropriate that I share with you my favorite spots. This is part 1 of a 3 part series! A few of these places I did not actually go to because we ran out of time. However, I am including them on this list because I have no doubt they are great. My husband and I are huge foodies so I spent a lot of time finding the best places to go! At the top of my list for brunch is Foreign Cinema. Foreign Cinema-Reservations are a must here! It is in a fun, trendy part of town. Make sure you save room for ice cream at Bi-Rite Creamery which is walking distance from Foreign Cinema. They are known for their salted caramel flavor. Hog Island Oyster Bar-You eat on the bay which is very charming, just make sure you bring a jacket as there tends to be a strong breeze from the water. They serve some of the freshest seafood available. Slanted Door-Known for their solid vietnamese food. I did not actually eat here because we were in the mood for seafood but this place comes highly recommended. Another great lunch place that all the locals frequent is Burma Superstar! Anyone who lives in San Francisco knows about this place. They serve burmese food in a casual atmosphere. If you go here, you have to order the Tea Leaf Salad because this is what they are famous for! Along Fisherman's Wharf, you have to stop and get an Irish Coffee at Buena Vista. It may be touristy but definitely worth checking out. Their Irish coffee is so good and strong too. You have so many options for dinner! My favorite restaurant that we went to was Gitane. It is located in an alley and is one of those restaurants that you have to know about. The ambience is what sold it for me! I would describe their cuisine as Spanish meets French where very bold flavors are incorporated into every dish. Their grilled squid appetizer was a standout for me! Another restaurant that you have to check out for dinner is Frances. Plan on making reservations far in advance because this is one of the toughest reservations to come by! They serve American food in quaint ambience in the Castro district. My husband and I also went to Range which I was less than impressed with so please do not waste your time going here! They took away their Michelin star last year and now I know why! 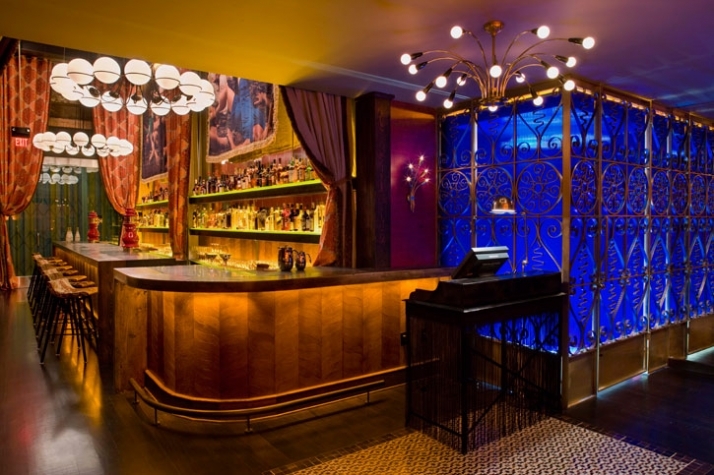 Lastly, Wilson & Wilson and Bourbon & Branch are two speakeasies that the average tourist does not know about! Both places have mixologists on hand that serve up some tasty cocktails. Make sure you make reservations or be prepared to get denied at the door. Ideally, if I were you, I would go to a San Francisco Giants game then head to one of these places for a drink after because they are so close in proximity.